At Pomona Gear & Axle Repair, our mechanics pay attention to our customers needs and provide fair, honest service for all your off road needs. We perform smog checks for cars and trucks of all kinds, including vehicles that are gasoline or diesel powered. If you don't pass, you don't pay! Are you tired of that puddle of oil under you axle? Are you embarrassed by the whine coming from your axles? Have you just lost power when you installed those bigger tires? We can cure that: axle overhauls repair bad bearings, seals, gears, axle shafts, and gear ratio changes. Restore lost power due to larger tires. Axle overhauls are done to restore the axle to like new condition. We can rebuild almost any axle. All seals, and bearings are replaced as needed. We can help restore the power that is lost from the installation of larger tires by changing the gear ratio based on the configuration of the vehicle. We can also upgrade to larger and stronger axle assemblies. We offer larger axles to compensate for the larger tires and more horsepower. 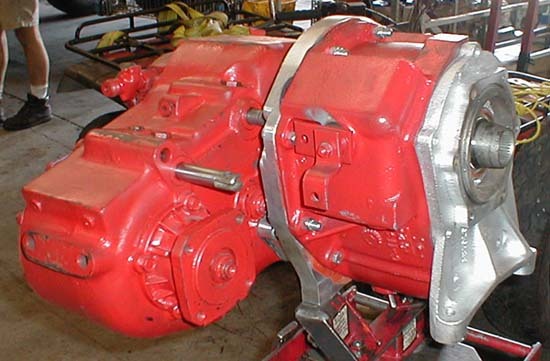 We offer GM 14 Bolt rear assemblies and Dana 60 front assemblies. These axles are 1 ton rated. So if you are tired of breaking those little 1/2 ton axles with your 44" tall tires, give us a call. We can HELP! We offer larger axles to compensate for the larger tires and more horsepower. We offer Dana 44, 60 and 9" rear assemblies. So if you are tired of breaking those little Stock Jeep axles with your bigger tires, give us a call. We can HELP! We offer larger axles to compensate for the larger tires and more horsepower. We offer Dana 44 and 60 front assemblies. So if you are tired of breaking those little Stock Jeep axles with your bigger tires, give us a call. We can HELP! Want to eliminate broken axles that leave you stranded? Let us perform a custom axle conversion for you. Allows you to run larger tires (with appropriate lift). Instills more confidence when out on the trail. Let us help you by upgrading your axles to beefier units. Have a half ton truck? Upgrade to Dana 60/ 14 bolt combo and you won't have to worry about your axles anymore. Tired of watching all of your buddies crawl over the rocks while you have to race through them? Sick of watching at the edge of the mud pit or at the bottom of a hill? Just want to go further, easier? Let us help you with your needs. We install all types of Transmissions, Clutches, Transfer Cases and Transfer Case Lower Gear kits. Gives you better Crawl Ratio. Relieves strain on the rest of your Drive Train. More confidence out on the trail, or in the mud pit. Stronger components. So they Last. Fact: Most 4 wheel drives are built for Highway driving. They are Light Weight and High Geared for better Fuel Efficiency. We will build it right for How You Off Road. 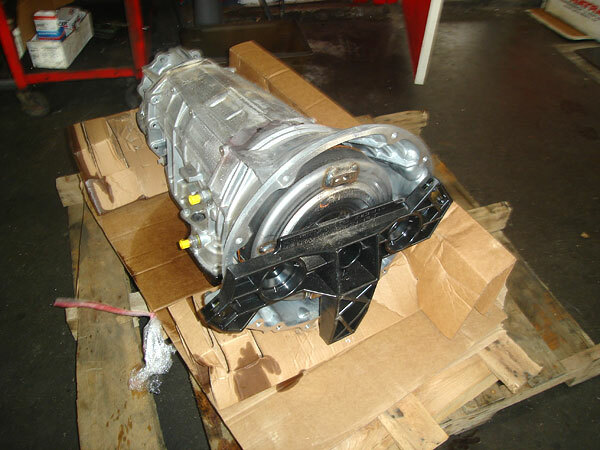 We offer Heavy Duty Transmissions and Transfer Cases. We also install "Doubler Kits" and lower Transfer Case Gears. We build it Strong for "The Mud" or "The Rocks". 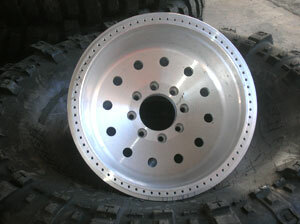 The new 2008 Oasis Alloys 20X14 is our latest wheel style in aluminum wheel. We are proud to say that ALL of our wheels are made at our Anaheim, California manufacturing facility. Oasis Alloy Wheels is a proud American manufacturer ensuring our customers receive the best quality in design and engineering, quality you should expect from custom wheels. Oasis Alloy Wheels use an A356.2 Aluminum Alloy. Precision casting results in a Superior Finished Product. Each wheel is Heat Treated to Aircraft Quality T-6 strength. Each wheel features Dual Bead Locks with Inner and Outer Mounting. Each wheel is fastened with 36 mounting Studs and Nuts rather than bolts. The back spacing on this remarkable wheel is 5.25 inches. 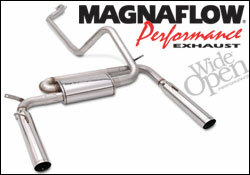 Are you tired of that vacuum cleaner sound the stock exhaust system gives your vehicle? We can fix that with a variety of exhaust systems and mufflers. Are you tired of looking at the rusty tail pipe sticking out from under your vehicle? We can also fix that problem at the same time with a large variety of chrome tips. 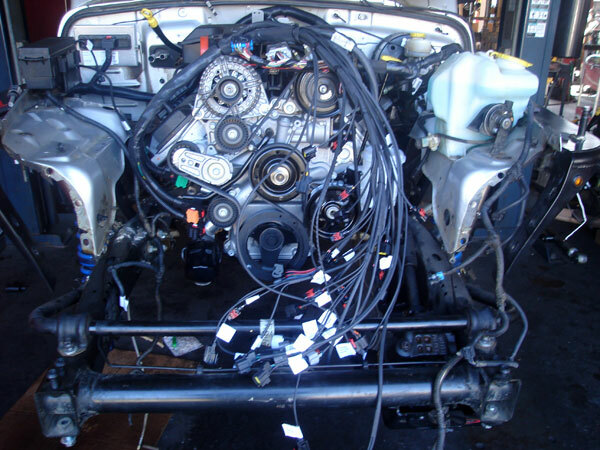 We have "Performance Systems" for Cars and Trucks, both Gas and Diesel. 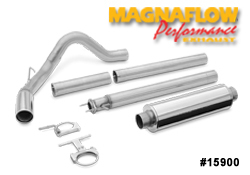 Allows your exhaust to flow more freely. Increases Horse Power and sometimes Fuel Economy. Gives your car or truck that mean tone of a powerful engine. Chrome tips give it that special appearance. With our "Blue Bullet" tubing bender we can custom build exhaust systems up to 3" in diameter. We can also install Larger and free flowing cat-back system. We offer "Wicked Flow", "Flow Master", "Magna Flow" and many more. 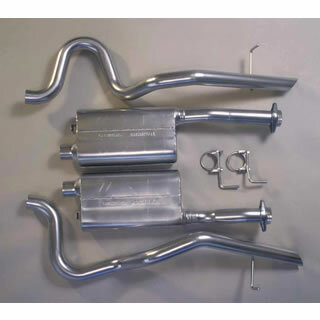 We offer replacement Catalytic Converters, Mufflers and Tail pipes. Are you tired of having your rear brakes fade when you're out on the trail? Convert your Dana 44, or 14 bolt axle to disc brakes. Brakes won't fade when wet. We can convert early Gm corporate full floating 14 bolt axles to disc brakes. 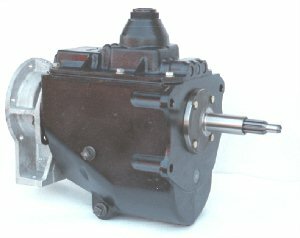 We can also convert your early model Dana 44 rear axles from drum brakes to disc brakes. Want to eliminate broken axles that leave you stranded? Let us perform a custom axle conversion for you. Want to eliminate the chances of getting stuck because of lack of POWER? 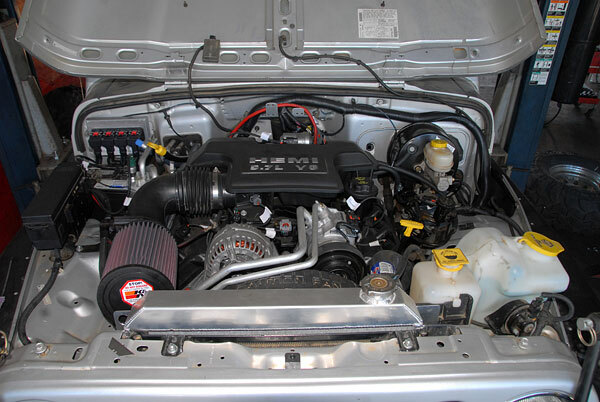 Let us perform a Vortec Engine conversion for you. Increases Power and Fuel Efficiency. Let us help you by upgrading your engine to one more POWERFUL than your stock 4 or 6 cylinder engine. 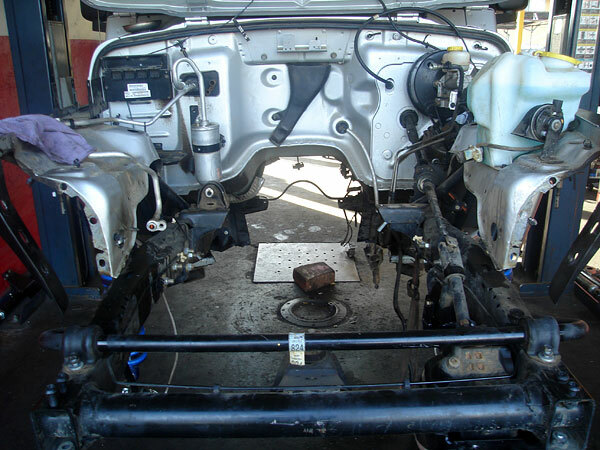 Our Vortec Engine Conversions are trouble free and Smog Legal. See a Tech Article on one we just completed. Read article.